The best way and the most recommended way of getting blog traffic to your site is by using Pinterest and even better, getting on to the top Pinterest group boards. Pinterest is the answer to your blog traffic issues and once you know exactly how to implement the right strategies you will never go back. In order to really increase your blog traffic, you will need to join a few Pinterest group boards. With this information in mind, we decided to create the Ultimate list of 50 plus Pinterest Group Boards for bloggers to build Traffic. We tried to include on the most popular Pinterest boards to help you get fast and better results. Before we get started on how to find and join Pinterest group boards, we would love for you to join our growing Facebook group right here! You can also join our Pinterest group by scrolling to the bottom of this page! If you are looking for guest blogging opportunities or if you need a personal affordable coach to take you from A-Z, we can help you. Get the details right here! Do you want to start your own money making blog? Click the image below to get started! 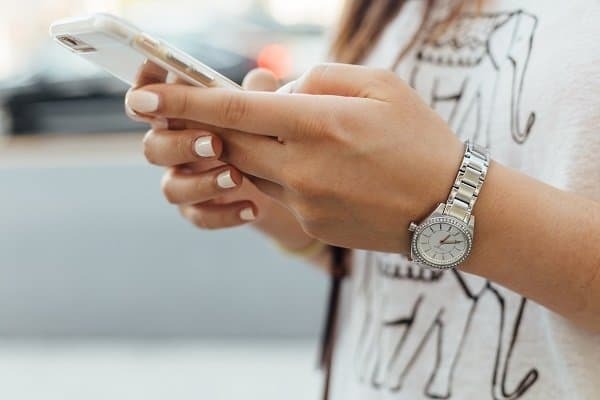 Pinterest wants entrepreneurs to focus more attention on building up their own Pinterest boards rather than joining Pinterest group boards. This does not mean you should close, abandon or move away from group boards, it just means you need to build your own boards up and maintain the overall health of your Pinterest Account. Create more related and niched board related to your blog niche. Ensure you are using Keywords on your boards as well as in your pin descriptions. You might want to read this post on your full guide to Pinterest SEO. By sticking and joining only the best Pinterest boards, you will see results. So how do you find the top Pinterest boards to join? Lucky for you, this list is full of the best Pinterest group boards you can find on Pinterest. HOW FIND PINTEREST GROUP BOARDS? If you are wondering about the best strategy to join a group board on Pinterest we have you covered. I didn’t know what the best Pinterest boards were or how to find the top Pinterest boards to help me get traffic. But after searching high and low and using the steps, it becomes easier. It’s not as difficult as you think. I struggled with this at the very beginning of my blogging journey as well. But the easiest way to get into Pinterest group boards is by sending a courtesy email to the owners of the Pinterest group boards. How do you know who the owner is? The very first person that shows up at the top of the list of everyone on the board is the owner of the group. Be sure to follow them and their boards first before contacting them for a request to join. Once you figure out who the Pinterest group boards owner is, head over to their profile. They probably have a full instruction guide on how to join their Pinterest boards, how to contact them and all the necessary details about the Pinterest group board. If they do not have their contact information or instructions listed, look for their blog URL and click on their website. From there, you can easily find their contact information. Keep it simple. Introduce yourself and included details about your business/blog. Then go ahead and ask them if you could be added to ABC board (Please mention the board name). Inform them about the fact that you have followed them (profile) as well as the group board. Now include both your PINTEREST URL and the email address associated with the Pinterest account. Please do not send a mass email to different group owners. This is not professional. If you would like a full Pinterest strategy: Read this blog post! You now have the list. I hope you join some of these amazing Pinterest group boards today and succeed. Please bookmark this page as I will be adding more Pinterest group boards as I join more. If you have a few Pinterest Group boards that are not working out for, leave them. You do not want to jeopardize the overall health of your Pinterest account. You might also like: 10 Pinterest tribes for bloggers. PS: Pinterest tribes are free to use! They are several things that will indicate which are the best Pinterest group boards to join. Joining bad boards will only lower the overall health of your Pinterest account. So how do you know which Pinterest group boards you must join for the best results? 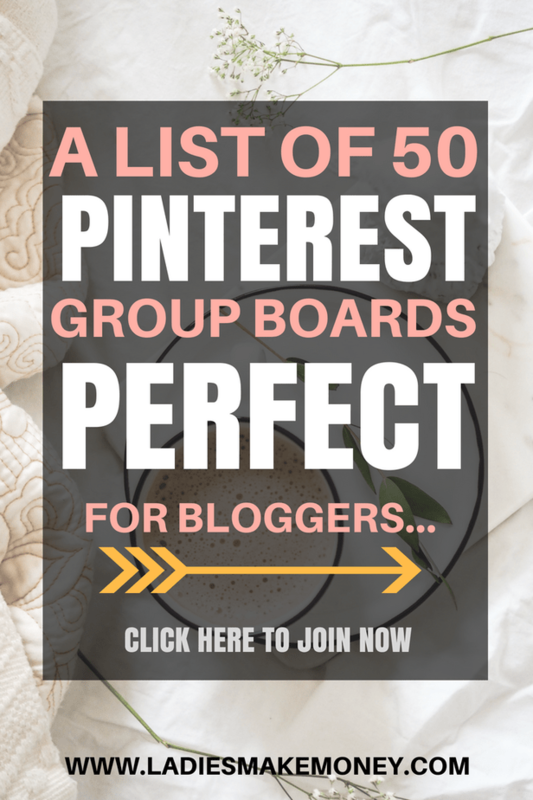 A few good tips for ensuring you are joining a great Pinterest group boar is to ensure the board is directly related to your niche. If you are not a travel blogger, then do not join it or accept an invitation to that particular Pinterest group board. Make sure the Pinterest group board has a good amount of followers and a good amount of contributors. The more followers on the Pinterest group board, the more chances you have of reaching new clients and having your blog exposed. You also want to ensure it has a good amount of contributors. If your Pinterest group boards only filled with one or two people as part of the group, you might find yourself the only participant. 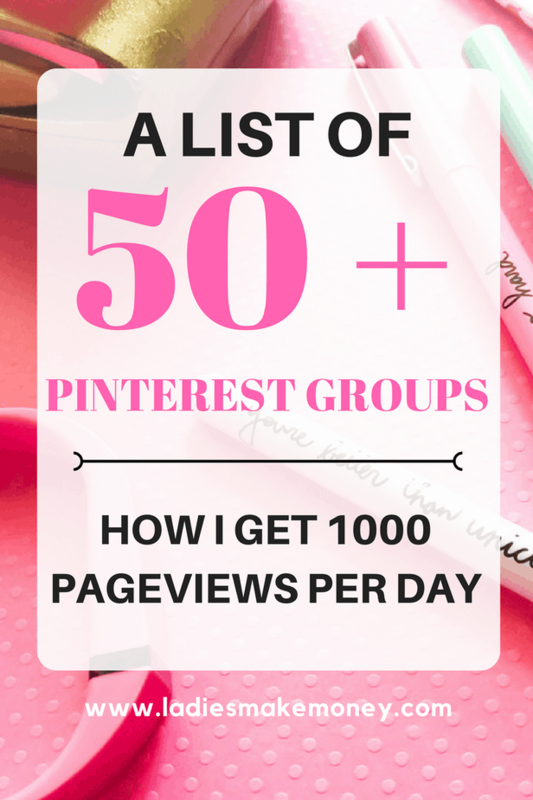 You also want the Pinterest group boards you wish to join to have a high repin rate. If it has a low repin rate, do not join it. You won’t get much exposure to it. If you are finding it hard to join Pinterest group boards, do not be afraid to start your own. In fact, that is what I did and then bigger bloggers started to contact me to join theirs and vice versa. In order to be successful with your own Pinterest group boards, you need to be very niche specific, accept pinners only within that niche and everyone will need to participate. Creating Pinterest group boards that are too broad and not specific enough will not drive traffic to your site according to Pinterest. 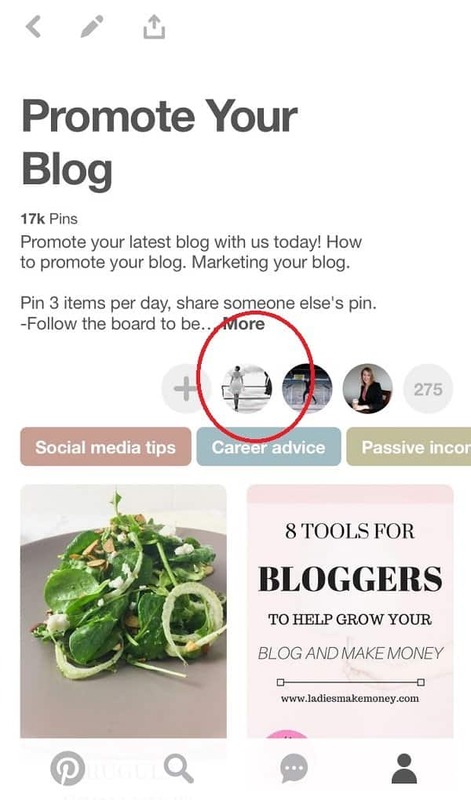 They want you to pin your pins to boards that directly relate to the topic you are pinning about. Pinning a food graphic to a general Pinterest group board that has pins about make-up, hair etc, will do you more harm than good. Social Marketing has an amazing blog post about how to launch a successful Pinterest group board or two. Don’t get me wrong, I use both Board booster and TailWind to schedule my pins. But I came across another blogging guru that swore that manually pinning your pins is actually better for increasing blog traffic. She is currently getting over 200 THOUSAND page views on her blog. That is amazing. Can you imagine how much money you can make? What are the benefits of her strategy? You do NOT need to pay for scheduling tools such as Tailwind or Board booster. This is perfect for new bloggers that do not have the budget to spend on growing their blogs but are looking for great, long lasting results. I had to give this strategy a try. Carly goes into detail on exactly how to work Pinterest to get that blog traffic. No extra software or sign-ups required. Read more about her Pinterest strategy here! 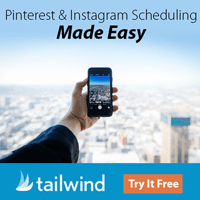 If you would like one month FREE of TAILWIND, join here! 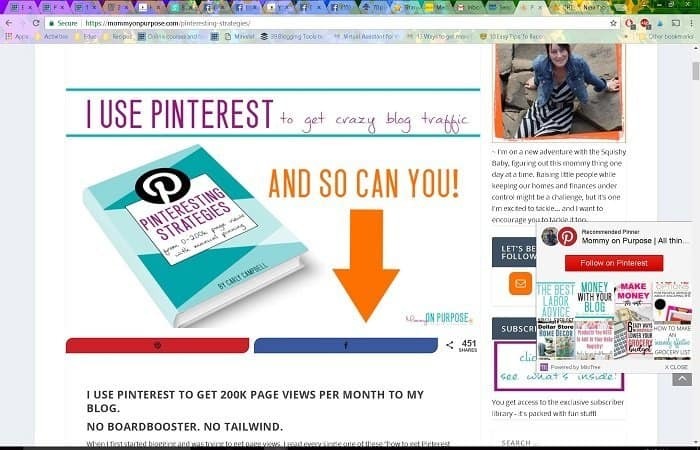 Now that you are part of these amazing boards and you now know how to use Pinterest correctly to get over 200K page views to your blog, why stop there! If you want to monetize your blog at this stage, you need my secret weapon. 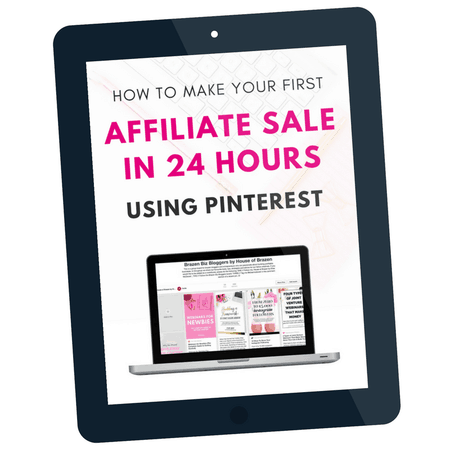 How to make your first affiliate sale with Pinterest! This eBook walks you through everything you need to know about making money directly from Pinterest! You can learn more about this book right here! Don’t you believe me? Check out my review on this and see my proof! GET YOUR FREE BLOG PLANNER HERE AND PLAN OUT YOUR BLOG! If you loved this post- tips on joining Pinterest Group Boards, be sure to PIN IT today. More amazing blogging tips! This is a gold mine! Thank you thank you! Thanks for this awesome info! It’s so incredibly helpful! I love your Pinterest group board. I am glad I featured you. Thank you for the comment and keep up the amazing work you do on your amazing Pinterest group board. I have a newer group board for beauty, hair, makeup, skincare, fashion and pretty much anything beautiful. I would love for more people to join! Thank you so much for this list! I’ve joined a bunch already. It also inspired me to start my own Pinterest group board, The Mommy Guidebook, if you’d like to add it to the list. Thank you so much for all this info! I really need to improve my Pinterest promotion and this list is extremely helpful. Pinterest is so important. If you can learn it, go ahead. Great and informative post. I’ve been trying to manage pin te rest group boards bow for a very long time and after reading this post you helped me figure out what needs to happen next. I will add this to my list Tamara! This is a great list and great tips. I’ve just started joining group boards and I can already see an impact on my traffics. Thank you for sharing! Thanks for sharing. I needed this. You have no idea how much I needed this! I’ve been struggling to effectively utilize my Pinterest, and really appreciate the tips! Thanks so much! Thanks for the tips! I haven’t joined any Pinterest group boards, so this gave me a lot of helpful information. Great advice I am bookmarking this and will be following your advice ! Thanks ! Just thank you so much. I am glad you like the list! Thanks for the list! Growing traffic is the most difficult thing for a new blogger! I appreciate the tips and information! Thank you! I will be bookmarking this and using it for future reference. I can vouch for Promote Your Blog. I get saves from them all the time. It takes a little effort. Timing and quality of your pins will play a huge part in this! Wow, thank you for this! Pinterest drives a LOT of my traffic and have been looking for group boards. I am glad you use it! Thanks for this useful list! I’m taking a look at some of them now. This is so helpful! Pinterest is my next social media platform that I want to expand and this will definitely help. Pinterest is the way to go! Amazing tips! I do use Tailwind for my pins, but seems like I am gonna have to start doing it manually as even with that I am not getting to much traffic on my side! Thanks for sharing this groups! Wow, this is a great list – thanks! Thanks for sharing this amazing resource. I always have a tough time tracking down Group Boards on Pinterest. I’ll be checking these groups out. Pinterest is great for your blog! I’m on Pingroupie often and I have never heard of majority these boards. Saved and will contact the owners. I love this list. I belong to some of the groups but not all so will be going through this to see which other ones I can join. Thanks for putting this together. Very helpful! I found a few group boards I am excited about collaborating on! What a fabulous list you compiled! Thank you for this post! 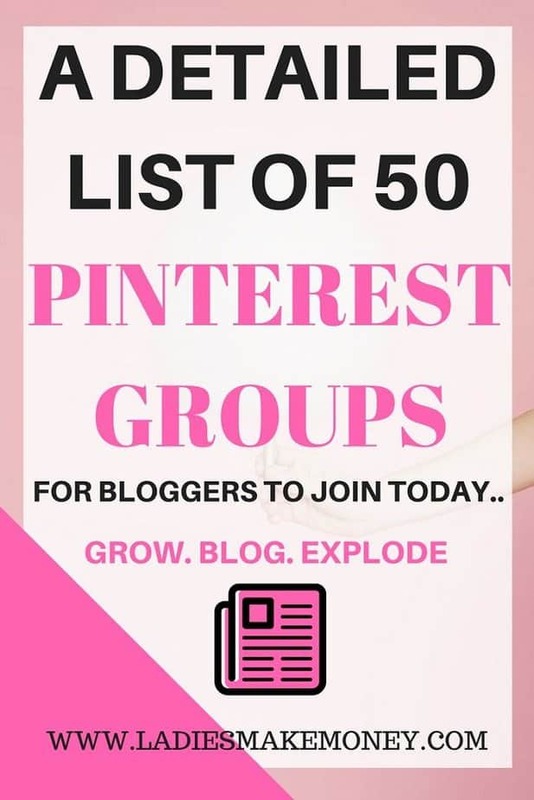 I’ve gotten great results from joining a few Pinterest groups already so I will be joining some of the ones on this list! I am so happy you are seeing results! I’m already on some of these but there are a lot more I’ll need to add. Thank yoU! This is great! The whole Pinterest game is hard to wrap my head around, so thank you! I’ve been meaning to up my Pinterest game for our travel blog! Thank you for this guide!!! I love travel blogs. I hope it works! Thanks for this resource of Group Boards. Some of the boards I knew about, some I did not. My Pinterest was great and then a couple months ago started diving. I stopped Boardbooster and have been manually pinning. Trying to see if that will help me get that traffic back. I do half and half and the traffic is coming in! Excellent resource for bloggers, especially new bloggers! I will be checking them out! I really, really needed this! Awesome list! I had no idea this was even a thing on pinterest! Saving this post! This list was so helpful as it refers to bloggers. I needed this easy to find groups you have listed. Thanks for sharing. Thanks for this helpful list of group boards. I’ll have to check some of them out. Shared on Pinterest! Thanks! I’ve been trying to figure out how best to navigate the world of Pinterest group boards!